The Most Rev. Dr. Foley Beach served as the Rector and Pastor of Holy Cross Anglican Church in Loganville, Georgia from its founding in February 2004 until December, 2013. On October 9, 2010, he was consecrated as the first Bishop of the Anglican Diocese of the South in the Anglican Church of North America. After election by the ACNA College of Bishops, he began serving as Archbishop of the province on June 28, 2014. Dr. Beach is a graduate of Gordon-Conwell Theological Seminary, the School of Theology at the University of the South, and Georgia State University. 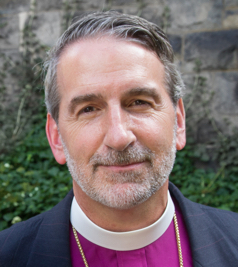 He has served in ministry with Young Life, the Episcopal Church, and the Anglican Church. His passion is to share the Word of God in such a way as to help others discover the incredible living Jesus. Married for more than 30 years, he and his wife, Allison, have two grown children and make their home in the Metro-Atlanta area. Dr. Beach’s A Word from the Lord can be heard each week on radio stations throughout the United States and on the Internet. A Word from Lord’sWeekly Broadcast is a 25-minute Biblical Teaching ministry, and A Word from the Lord’s One-minute Messages offers a daily challenge from the Scriptures. He shares years of Biblical and theological study in addition to more than 35 years of ministry experience as he shepherds the Anglican Diocese of the South. Reaching out through the church, the radio, the Internet, and newspaper columns, in clear and concise ways, he brings out the principles of the Word of God so that listeners may apply them in their lives. Early in his life, Felix Orji endeavored to follow and serve Christ. He set a plan to do that, one that has called him to serve Christianity in Nigeria, Canada, and the U.S. He completed a BA degree with honors at the University of Ife in Ile-Ife, Nigeria, and received a Master’s degree at the University of Lagos, Nigeria. He earned a Diploma in Christian Studies from Regent College, Vancouver, BC, and a Master of Divinity from Vancouver School of Theology. Dr. Orji also earned a Doctorate in Leadership from Gordon-Conwell Theological Seminary in Charlotte, North Carolina. Bishop Orji, a member of the Order of St. Benedict, was ordained in 1996 in the Anglican Church of Canada and served as Associate rector at St. Johns Shaughnessy in Vancouver, BC, the largest evangelical Anglican parish in Canada. In 2004, he moved to the USA where he served as the President of the Anglican Fellowship of the Southwest. A year later, Dr. Orji became associate rector of St. Francis on the Hill in El Paso, and rector in 2008. Bishop Orji now serves as pastoral head of St. Francis Anglican Church, located at 470 Eagle Drive in west El Paso. 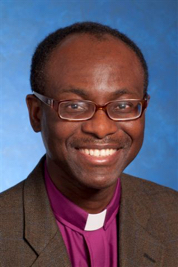 In his role as Bishop he will assist with episcopal care of Anglican parishes in the western half of the U.S., under the auspices of the Church of Nigeria (Anglican Communion) and the Convocation of Anglicans in North America (CANA). He is a member of the House of Bishops of the Church of Nigeria (Anglican Communion), CANA, and the Anglican Church in North America. The Right Reverend Dr. Orji and his wife Lilian have four children, Cara, John, Jadon, and Justin. 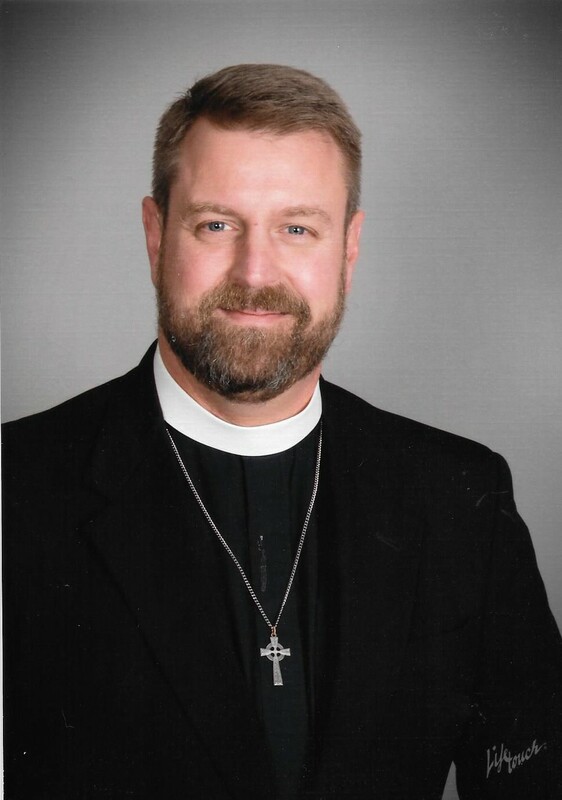 Father Barry Montgomery became Rector of Christ the Redeemer Anglican Church on Monday January 5, 2015. Fr. 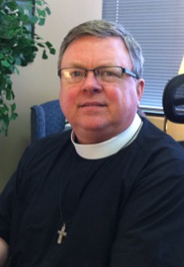 Barry was ordained to the transitional diaconate in January 2012 and served as a deacon at Grace Anglican Church, Oceanside, California, and Christ Church Anglican, Fallbrook, California in 2012 and 2013. He was ordained to the priesthood in January 2013, and has served as Assisting Priest, Youth Minister, and Coordinator of Children’s Education from March 2013 until December 2014 at Anglican Church of the Resurrection, San Marcos, California. Prior to being ordained as a deacon, and while a member of St. Anne’s Anglican Church and Grace Anglican Church, he served the church as a member of the Altar Guild, an usher, a lay reader, a lay Eucharistic minister, an acolyte master, a member of the vestry, and as a Senior Warden. Fr. Barry earned a Masters of Divinity degree from Azusa Pacific University (2012) and a Bachelor of Arts degree (History, 1991) from Louisiana State University at Shreveport. Fr. Barry also served for twenty years in the United States Marine Corps as an infantry and intelligence officer, with six combat tours in Somalia and Iraq. His military assignments included billets as a platoon commander, company executive officer, company commander, battalion intelligence officer, intelligence instruction, and battalion operations officer. His service to our country concluded in June 2011 when he retired at the rank of Major. Fr. Barry and his wife Mary have three children, Harrison, Nathan and Zoe. Don graduated from Texas A&M University in 1972 with a degree in Building Construction. Following a thirty five year career in the construction industry, Don responded to God’s call to ordained ministry. He graduated from Nashotah House Seminary with a Masters of Divinity degree in 2010. He completed his Diaconate training at Church of the Holy Communion REC in Dallas in May of 2011 and has accepted the call to Christ the Redeemer Anglican Church in Garland, serving as Associate for Pastoral Care. Don and his wife Bonnie have been married thirty nine years and live in Garland. They have two grown sons (Aaron and Joseph) and three beautiful grandchildren (Noah, Grace, and Eli). After spending time in ministry in the Baptist denomination, Deacon Sheri Graham became interested in ministry in a liturgical church during her studies at Criswell College from which she graduated with a BA in Biblical Studies in 2002, and a Masters in Theology in 2004. 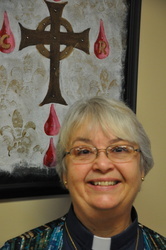 After serving in various positions at Holy Trinity Episcopal Church and then Christ the Redeemer, she was ordained as a perpetual deacon in January, 2008 and now serves as a pastoral assistant to the rector of Christ the Redeemer as well as the Office Manager. Deacon Sheri and her husband Barry have been married since 1988. The CTR Offices will be open from 9AM to 3PM on Monday through Wednesday as well as Saturday. They will be closed on Thursday & Friday, when the office phone will be forwarded to a clergy cell phone. For pastoral emergencies please contact a member of the clergy at the church or at the following numbers.